Want to know more about mental health? Want real life stories from people who’ve been through it and lived to tell the tale? Want the latest news, views and opinions? 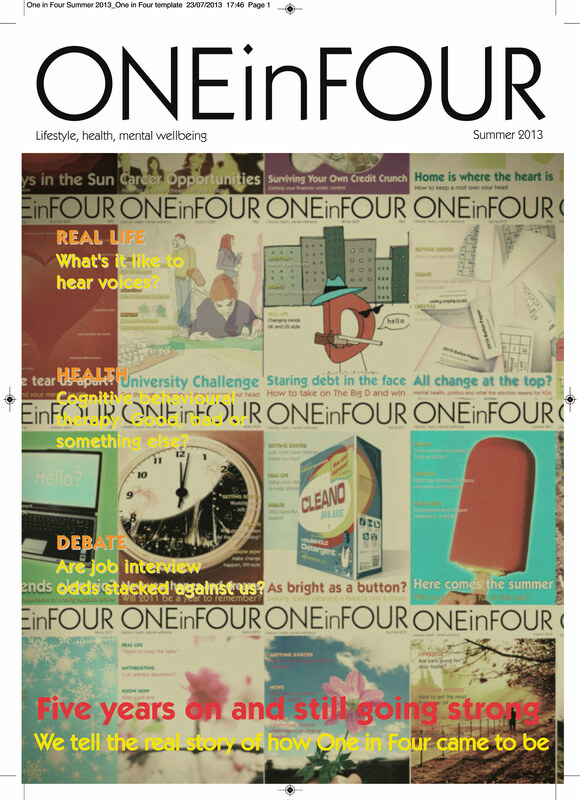 One in Four is a glossy full colour quarterly 32-page quarterly magazine written by people with mental health difficulties who lived lived through it and found ways around it. It’s the perfect guide to getting stuff in your life sorted. 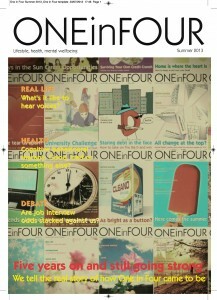 Subscribe for £10.00 per year!